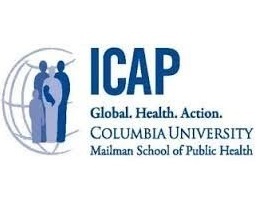 ICAP at Columbia University is a Non-Governmental Organization affiliated with Columbia University’s Mailman School of Public Health (MSPH) registered in Tanzania as MSPH Tanzania LLC since February 2005 (SO No. 12987). ICAP has been receiving funds to support HIV prevention and treatment programs in Tanzania from the US President’s Emergency Plan for AIDS Relief (PEPFAR) through the U.S. Centers for Disease Control and Prevention (CDC) since 2005. In collaboration with the Ministry of Health, Community Development, Gender, Elderly and Children (MoHCDGEC), ICAP has supported the government on health system strengthening, provided technical support especially on HIV prevention, care, and treatment, voluntary medical male circumcision services, and facilitated HIV prevention interventions in community settings. ICAP in Tanzania employs competent, dynamic individuals with strong technical knowledge and public health management skills in implementing the program objectives. The organization is now seeking to fill the position of Program Specialist. This position is grant funded. The Candidate will be responsible for providing support to the procurement unit by ensuring effective procurement systems through monitoring the purchasing processes and ensure timely delivery of items to intended recipients. The successful candidate will be a key member of the procurement team and will assist the ICAP in the implementation of quality procurement services. 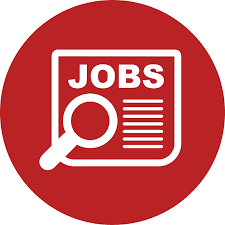 As part of the ICAP multidisciplinary team, this position will interact with staff from different levels and different department, therefore, the position requires excellent communication skills. Working closely with storekeeper to ensure all items are received and recorded in the store book ledgers before being issued. Ensure that you read and understand the ICAP SOPs related to Procurement. Comply 100% with ICAP SOPs while implementing your work. Keep updated on the status of supplies, demand forecasting, planning as appropriate for when new supplies are required. Perform any other duty as may be assigned from time to time by superiors. Four years working experience in procurement departments or sections. Working experience with donor funded projects dealing with HIV/AIDS care and treatment is desirable. Fluent in English and Swahili with good verbal and written communication skills. Must be a Tanzania Resident. Qualified applicants should send their cover letter and CV by 10th August 2018 via email to icap-jobs-tanzania@columbia.edu. mentioning in the subject line the Position Title and Job Location. Only shortlisted applicants will be contacted. Please do NOT attach any certificates when submitting online. To assist in the coordination and processing of sub-recipient expense reports, and assist in assuring that sub-recipient finance staff have the knowledge to efficiently manage ICAP funds. Adapt administration and financial policies and procedures for the sub-awardees which includes; manuals, user guides and templates to be compliant with USG and Columbia University requirement. Assist in providing technical support to sub-awardees staff to improve admin and financial systems by using ICAP-Columbia University management tool and general management of fund procedures. Assist in ensuring the consistent application of ICAP financial and admin policies/standards, as well as USG and Columbia University rules and regulations. Assist in preparing training for new sub-awardees staff related to financial management and perform project financial review. Assist in the provision of procedures for sub-awardees closing by making sure that all steps and regulations are followed properly. Must be familiar with PEPFAR/USAID and other donors’ rules & regulations.